In regions which consistently support a single political party, the most important selection of a representative is typically at the primary stage. 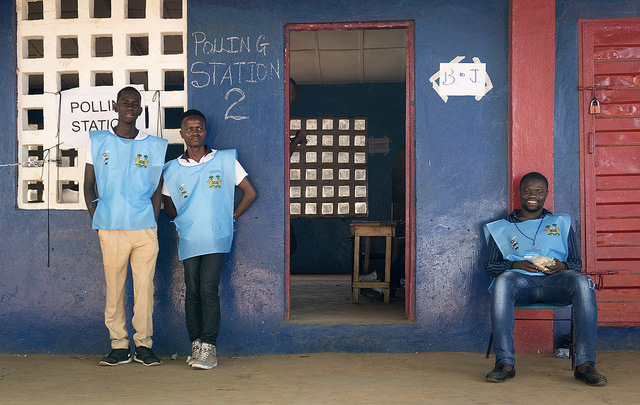 However, in developing countries, primaries are frequently dominated by elites and conducted without transparency, decreasing the likelihood that parties select high-quality, representative candidates. Publicly screening candidate debates have previously shown positive effects on voter knowledge, candidate quality, and campaigning effort during general elections, but have not been tested on a broader scale in a less-controlled environment or been used to inform citizens’ participation in primaries. Does strengthening the primary process alter the characteristics and number of candidates, and ultimately the quality and performance of elected representatives? Can public debates at the primary stage, which provide direct presentations of candidate competencies and policy priorities, change the characteristics of party candidates and the performance of elected officials? Can debates between parliamentary candidates in the general election still have positive effects on voter knowledge, behavior, and campaigning effort when implemented in a low cost manner at scale? This project explores the relationship between regional party strongholds, where competition in the general election is weak and generates little accountability pressure, and the poor performance of elected officials. In such areas, the competition of import occurs at the primary stage, and internal party selection processes thus directly determine the characteristics and performance of elected representatives. In much of the developing world, these processes are opaque, controlled by elites, and likely hampered by information constraints. We propose to evaluate whether increasing citizen voice in primaries and hosting party primary conventions that feature informative debates between aspirants, facilitate the election of more competent and accountable leaders. We will also test whether earlier evidence on the effects of general election debates on voters and politicians replicates at scale using low cost methods of mass dissemination.